In the end of the year 2007 Vanhelgd (Swedish for “desecrated” )was formed by Björn Andersson (drums), Jimmy Johansson (guitars, backup vocals) and Mattias Frisk (guitars vocals). The intention was to play dark, blood soaked death metal in the vein of the old masters. Songs were taking form and the need for a bass player became more and more urgent and in 2008 Viktor Gustafsson joined. 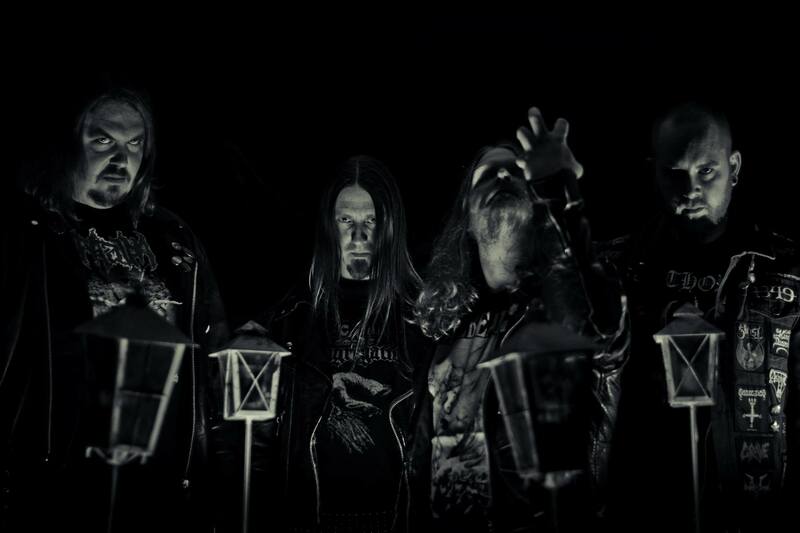 After making a unreleased demo Vanhelgd recorded eight songs in Backbone studios in Mjölby and the first full length album “Cult of Lazarus” was released by Crematorium Records in November 2008. The band got in contact with the US based Nuclear War Now! Records who decided to release “Cult of Lazarus” as a 12” LP in 2009. In the Summer of 2009 Vanhelgd recorded a couple of new demo songs. One of the tracks from that session, “Nec spe, nec metu” was featured on the “Invocation of death” compilation, released in june 2010 by Death invocation records. Vanhelgd started to work with the recording for their second full-length album “Church of Death” in april 2010. Due to various problems they didn’t finish until September the same year. Two of the songs were taken out to be featured on the EP “Praise the Serpent which was released on the Nuclear War Now! Fest part 2 in Berlin where the band also performed. In 2013 Viktor had to leave the band and Jonas Albrektsson joined for the third album ”Relics of Sulphur Salvation” that were released by Pulverised Records and 20 Buck Spin. 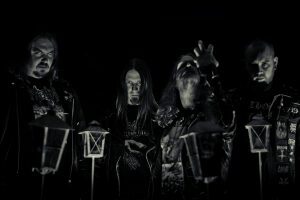 In the end of 2015 Vanhelgd once again entered Studio Underjord to record their fourth studio album “Temple of Phobos” that was released in July 2016. In September 2016 Björn Andersson left the band and Mathias Westman from King of Asgard and Throne of Heresy joined.